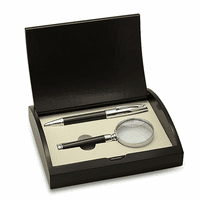 FEATURES/SPECS The perfect gift to celebrate a milestone in life, this pen, business card case and key chain gift set from the Executive Gift Shoppe is also an elegant gift for any occasion. 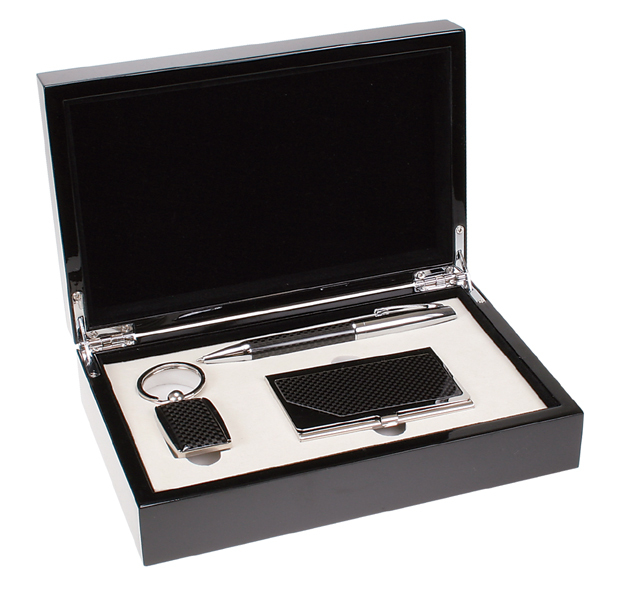 The set includes a ballpoint pen, a card case and key chain all constructed of polished stainless steel. 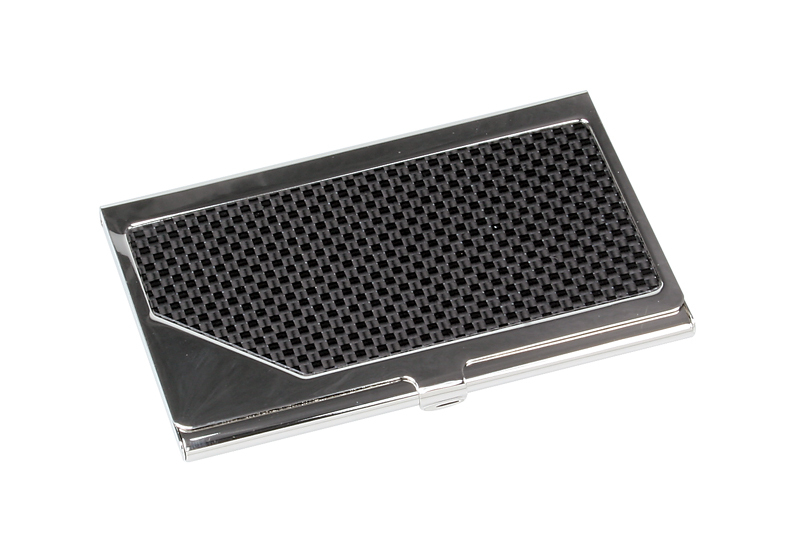 Each is finish with lacquer coated carbon fiber accents. 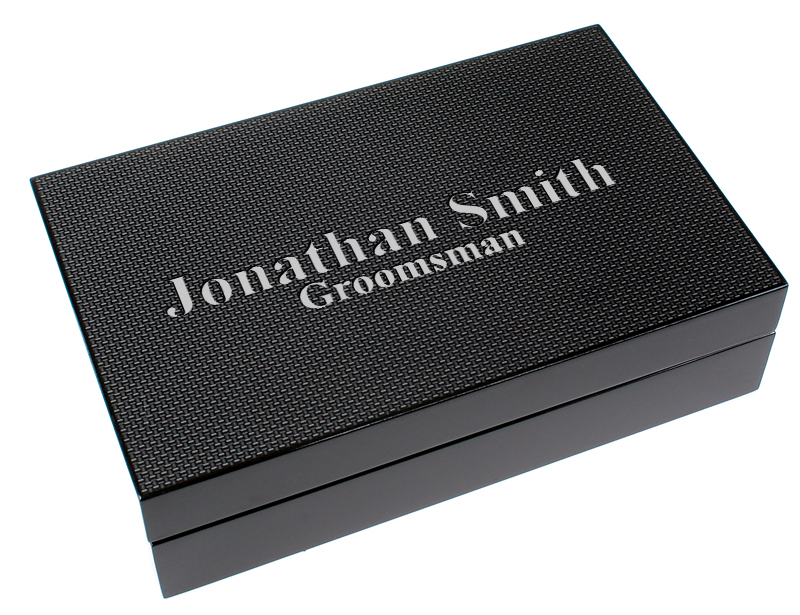 They are packaged in a handsome lacquer coated carbon fiber gift box that can be laser engraved free of charge. 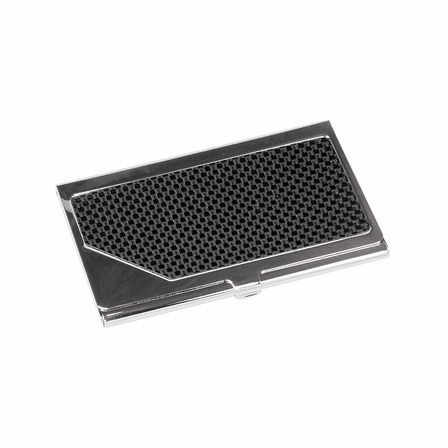 The laser engraving produces a permanent print in the carbon fiber lid, a perfect personalized gift for any business man or woman. 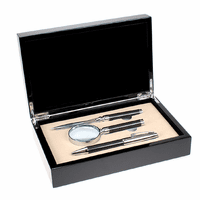 Dimensions: 9" x 5 1/2" x 2 7/8"
For this pen, card case, and keychain gift set, normally just the box itself is personalized but we can have the pen engraved as well if that would work for you. Unfortunately the keychain and the card case cannot be personalized. 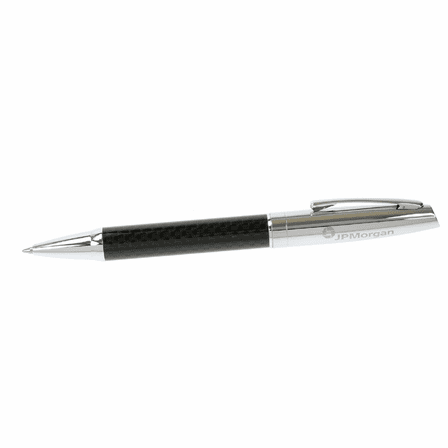 If you would like the pen personalized, just enter the engraving you would like in the comment section at the bottom of the checkout page. For the pens, we can engrave 1 line of up to 20 characters. Please let us know if you have any other questions. 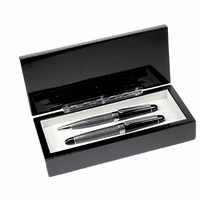 Carbon Fiber Pen, with the Card Case and Keychain Gift Set, what gets personalized? The box, the pen or all the pieces? 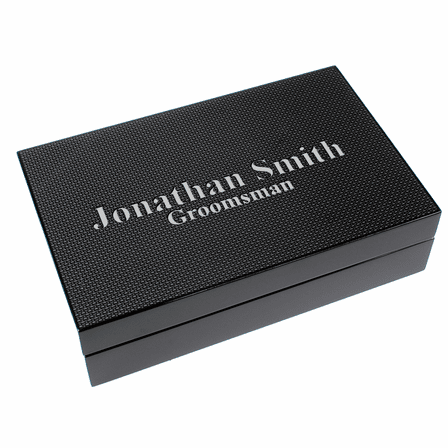 The box on this set gets personalized with laser engraving.